A microscope objective includes one or more lenses and sometimes mirrors that are encased in the main, tubular portion of a microscope. Microscopes are often used so objects too small for the eye to see can be visualized. 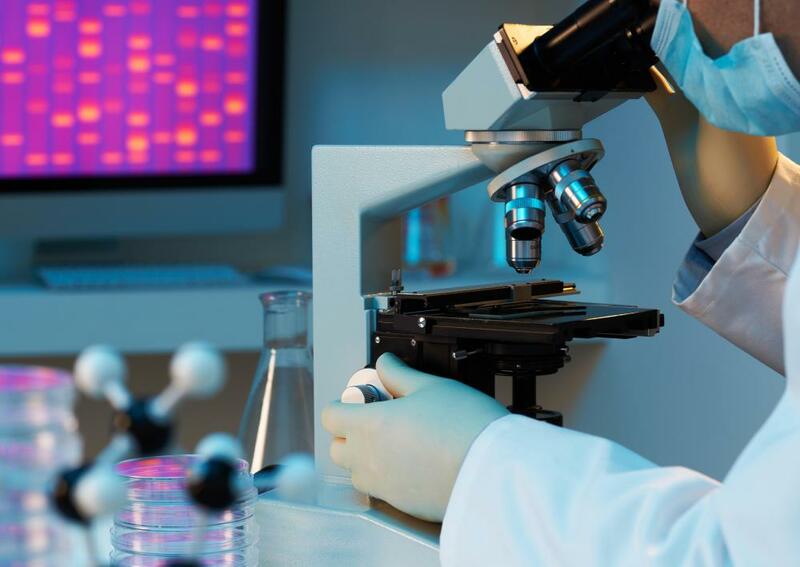 They are typically suitable for scientific analysis of materials as well as the study of biological samples at the cellular level. The light from a sample on a glass slide first passes through the microscope objectives, which determine the resolution of the images produced. Multiple objectives can be incorporated into a microscope to provide the desired magnification. These microscope parts are generally constructed with an outer casing and a series of lenses inside. To build microscope objectives, a series of small lenses are typically mounted inside of a cylinder. The assembly is then usually placed in a barrel, and a metal rim is placed at the end to lock the lens or a few of them in the objective. Spacers and screws are often used to adjust the focus and image quality. The microscope resolution limit is usually dependent on the wavelength and angle of the light captured by the objective, while the refraction between the front lens and the observed specimen can affect clarity. Magnification level, refractive index, and other details on the use of the objective are often inscribed on the outer barrel. Inscriptions can also say what the optimal thickness of the cover glass over the slide should be for a clear image. Some microscope objectives are used in dry conditions, while others require some oil to be placed between the lens and the specimen; this is often indicated on the outside as well. Focal length and the type of objective can also be shown. Microscope objectives typically feature characteristics such as depth of field, the range of focus in which an image’s sharpness is the same. Usually the wider the lens opening, or aperture, of the objective, the lower the depth of field value is. Other significant aspects include the working distance, or the space between the front lens and the cover glass, or the specimen if there is no covering. 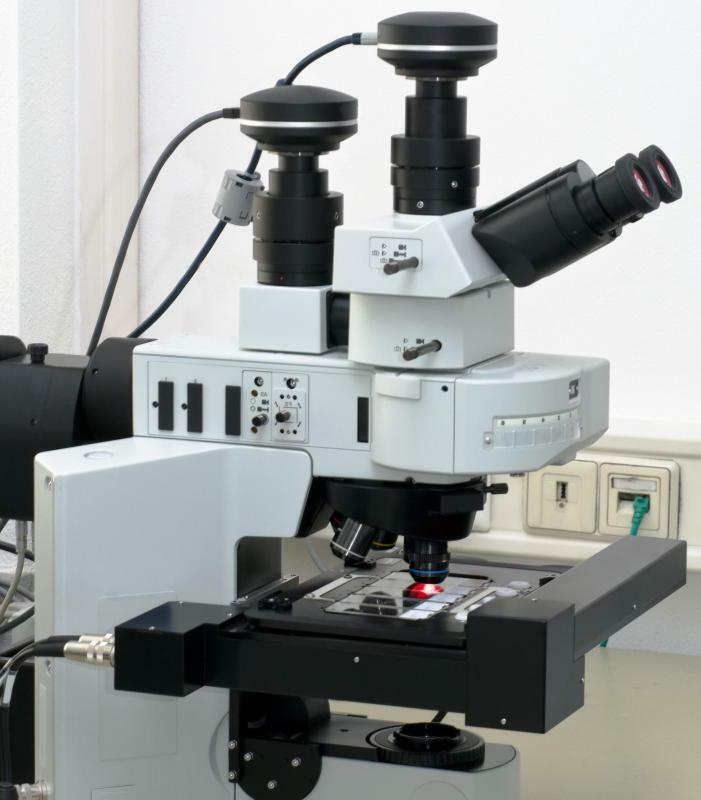 In microscope objectives that are designed to work close to the sample, a mechanism called a retraction stopper can lock the units in place, and prevent materials such as oil from being spread along the slide. Optical errors are often avoided when microscope objectives include corrective elements independent of the eyepiece. Antireflective coatings are often placed on objective lenses as well, to transmit light rays more efficiently. The size of the exit pupil, at the rear aperture of the objective, can restrict the light that passes through; a smaller opening typically reduces the illumination and therefore the image quality. 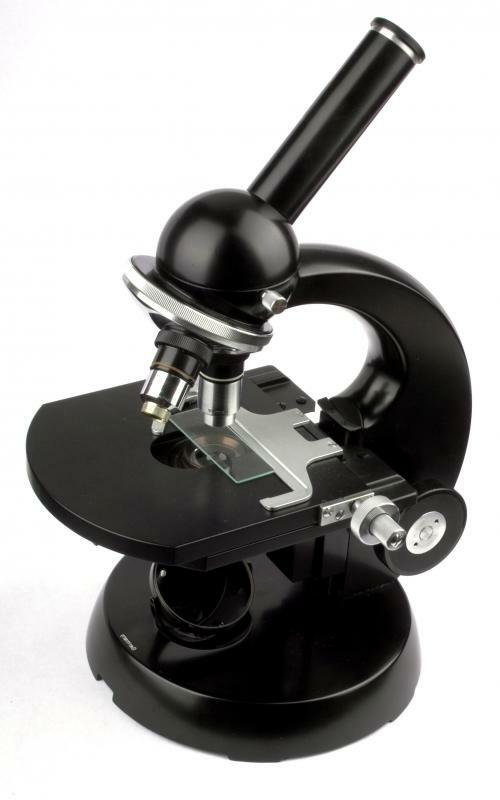 What Are the Different Compound Microscope Parts? What Are the Differences between a Compound and Dissecting Microscope? What is a Field Microscope?